BMW Group New Zealand has announced the new state-of-the-art facility located near the corner of Accent Drive is scheduled to open in the second half of 2018. The dealership will be positioned directly in one of Auckland’s highest growth areas, providing easy access for suburbs such as Flat Bush, Papakura, Howick and Pakuranga. DEVELOPMENT: A concept drawing for the new BMW dealership site on Te Irirangi Drive. Photo supplied.Another car dealership is set to be developed in south-east Auckland on Te Irirangi Drive. Big plans are already being made for the facility; customers will be able to experience a fully automated and digital experience with the latest point-of-sale offerings and digitalised virtual configurations. Auckland City BMW will operate the new business, and Dealer Principal Ian Gibson is excited by the new facility. “We are very pleased to have the new dealership in East Auckland being announced today, and the opportunity to increase our presence for BMW in a rapidly growing part of the city,” said Gibson. 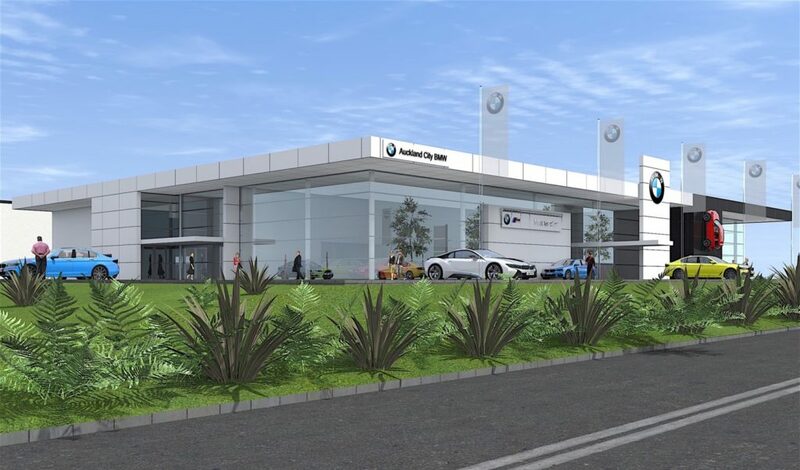 Construction on the new dealership is scheduled to begin in the coming months, and will be built to the latest BMW Group Future Retail showroom standards.